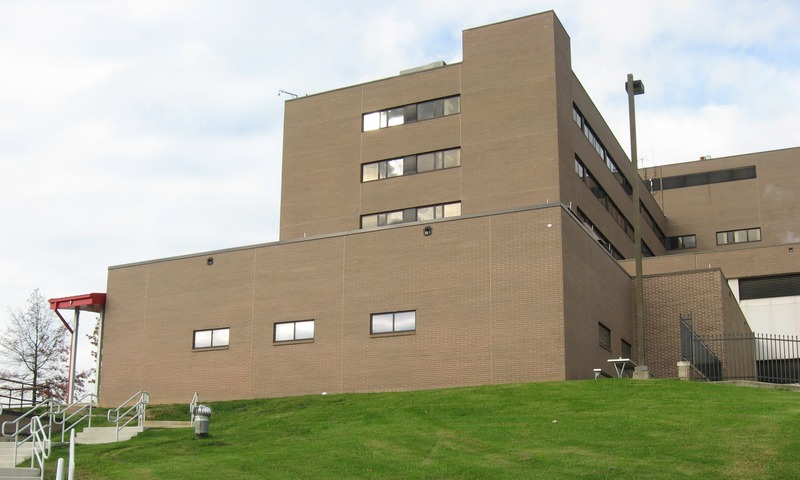 The one-story expansion to the ambulatory entrance of the medical center was constructed on top of an existing reinforced concrete slab supported on steel framing. The structured slab served as the floor of the exterior ambulatory entrance and the roof for the loading dock basement area below. As part of the scope, the existing concrete slab and framing were evaluated to ensure that they could support the addition. Existing steel columns at the entrance were reinforced with steel cover plates to provide the capacity needed to support the addition. New steel columns were also erected over the concrete slab to provide support for the steel-framed roof of the addition. 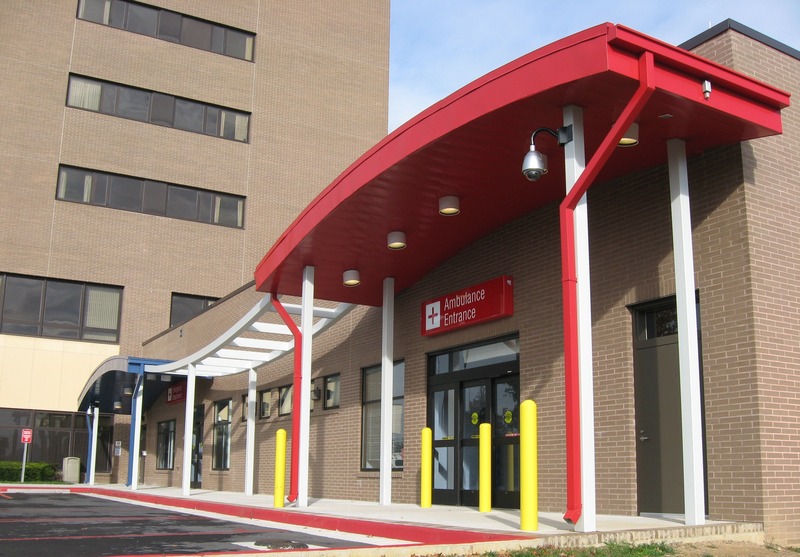 A continuous freestanding 75-foot long canopy adjacent to the addition provides cover for both the ambulatory and patient entrances. Curved steel tubes provide an undulating profile along the length of the canopy and the steel roof deck matches the contour of the curved beams. 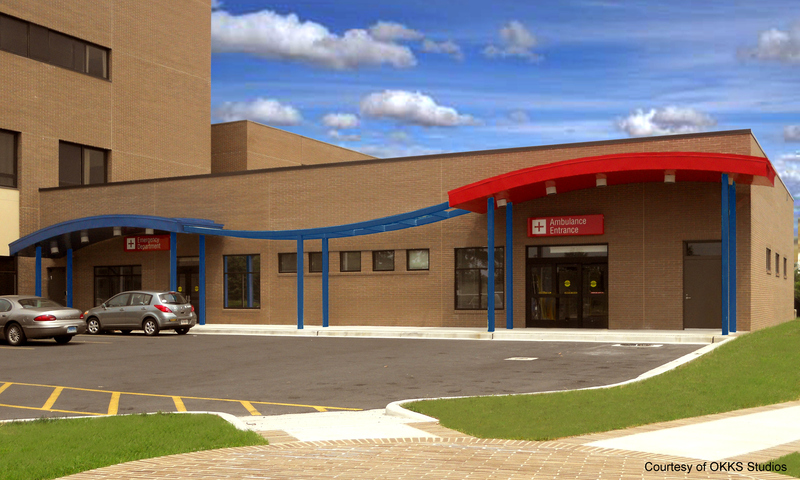 Phased construction allowed uninterrupted operation of the facility during construction.